I’m reblogging a previous post entitled Garden Goddess as some of my settings were not intact. 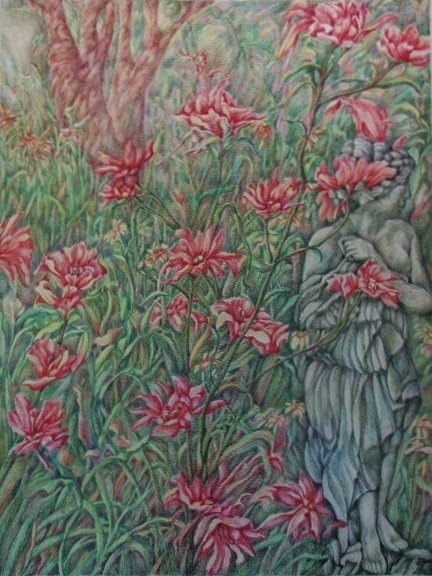 Additional hue was added to a color pencil drawing to provide more differentiation between the foreground, middle ground, and the background. Am so glad to hear from you and to see how your drawing path has continued so beautifully. You are currently reading Garden Goddess at Dr. Mary McNaughton and Drawing.